How influential can European appetites be? Over 30% of consumption related impacts in Europe are attributed to food consumption. Governments and businesses can take this opportunity to enhance sustainability by making food value chains more resilient and by encouraging sustainable eating behaviours. 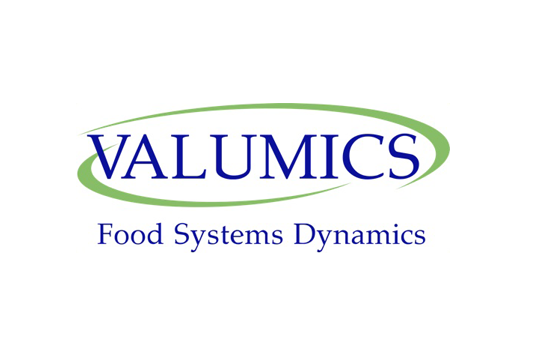 VALUMICS’ core objective is to provide food value chain decision makers such as policymakers, businesses, and consumer associations, with a suite of tools to evaluate and increase the impact of strategies that enhance resilience, sustainability, and innovation within the chains. The CSCP fosters those objectives and leads in consumer analysis by mapping key food consumption behaviors in Europe, along with its patterns, drivers, impacts, main stakeholders and associated relationships of power and influence. Our approach includes in-depth interviews, consumer focus groups and ethnographic research. Moreover, we assess levers for scaling up emerging approaches such as organic, fair and local production, prosumerism, vegetarianism and digitalisation. Retailers work as VALUMICS living labs for testing intervention strategies to support sustainable food purchasing behaviour. They also help to distill practical knowledge about which behaviour triggers work best based on contexts, markets, and products. Is it all about providing product information? Or would strategic product placement on shelves work as a meaningful nudge to consumers? Can it include gamification, choice editing, or price levers? When is the best moment to approach the consumer? How does it connect to other lifestyle aspects, such as how people move or where and how they live? These are the types of insights we will gather and translate into tools to help public and private decision-makers to apply innovative interventions towards sustainable eating. With this approach, we are empowering food-related agents with evidence-based information and effective tools to make food production and consumption future-proof, innovative and sustainable. Find out more about our services relating to Consumption, Behaviour and Trends, as well as Innovation and Transition Labs. A sustainable world starts with enabling sustainable consumer choices. Shifting consumption towards sustainable eating in a systemic and integrated manner is a major step towards more sustainable and meaningful lifestyles – one of VALUMICS’ ultimate goals. The CSCP is working on this project with 20 other European organisations. VALUMICS is funded by the European Commission under the EU Framework Programme for Research and Innovation Horizon 2020.